We’re taking a shorter look at the ancient civilizations of Japan/China and Incas/Mayans/Aztecs. You’ll be able to decide which of these areas you want to explore and learn more about personally. To understand a bit of the Incas, Mayans, and Aztecs, you’ll watch this documentary. It explores how these civilizations were able to develop such skill and precision in things like understanding the solar calender and season changes to understanding how to grow vegetation on floating islands rather than rely on soil for it. Take notes as you watch, as usual. Social 9 Mesopotamia vs Egypt – Who Wore it Better? To start our study of ancient civilizations, we begin with two that were very close to each other geographically. Because they were so close, you might assume they were similar in many ways, but were they really? You’ll study the two civilizations for certain elements of their societies and then develop a project to develop to demonstrate your understanding and judgment of them. Was one civilization superior to the other? Remember there are a lot of great videos/documentaries to use for gathering your information . 21st Century Skills Development: You may uncover a great resource that you want to share with the group. We will compile a list of resources together in a shared Google Doc linked here. It is “shared” with you via your gmail accounts, so make sure you’re logged in to access it. Which civilization will come out as the most successful one? You’re using a variety of resources of your choice online to find answers to several questions. It will help you establish a basic understanding of some of the important elements of studying civilizations before we move on in the course. Elements like how eras of time are labeled as B.C. or A.D. or how old the earth is compared to how old humankind is. Below are a few helpful video resources you can watch to help supplement your own research. You’ve been earning points as Teams, so far, but in this Project you’ll work Individually and be able to earn points yourself. You will still work with your Team and share ideas for research methods, how to take good notes or what format to use to share what you’ve learned with your Teammates. The points you earn, though, will be yours individually. As a Team, you will divide up the Six Civilizations to be researched, so that each is covered by a member of your Team. When the research time is finished, you will teach your peers about the Imperialism of your two selected Civilizations and time period. The quality and degree of thoroughness of your collected information and ability to make it understandable to your peers will play a large role in how many points you individually may acquire through this project. What is the difference between Imperialism and Colonization, or is there a difference? what were the reasons for it? What are some of the Pros (benefits) and Cons (negatives) you can recognize of Imperialism? What is the difference between Assimilation and Paternalism? In your opinion, which was a better method to use when going through Imperialism expansion of territories? What was the Worldview or perspective of that civilization that led to its Imperialism expansion? What triggered or led up to the Imperialism? What were the factors that caused it to happen in that civilization and at that time? What methods were used for their Imperialism? How did they go about it and how successful were they? What were the ultimate results of your civilization’s Imperialism? What Pros and Cons can you identify of that civilization’s Imperialism history? Remember: You’ll each gather information for all five questions for BOTH your Civilizations. One focus of working in teams is to develop cooperative and productive interpersonal skills. Another is to add an element of Competition to the class. Discuss, search, and determine what our most valuable artifact of past peoples is. post your response as a video explanation on your Team Instagram account. As this will be our first Team Challenge, we’ll review after each presents their findings to develop some pros/cons from the samples and build a set of expectations/rules for the future Challenges. Social 9: Documentary Viewing – How did people of the past survive? 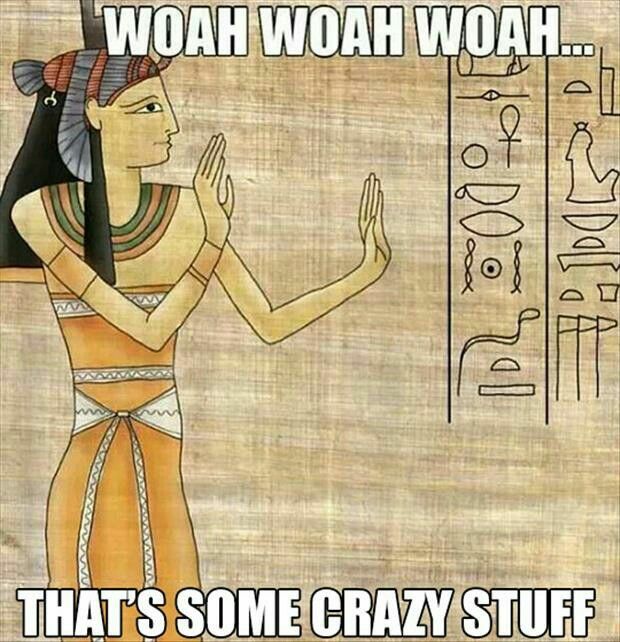 You’ve learned a few things through your own research about the many past civilizations of our history. But have you questioned how you can know these things? How has this knowledge been gathered? Are there differing accounts or explanations for some beliefs of the past? Who benefits from these accounts of history? What voices are missing from our record of our human past? This documentary is nearly 2 hours, so it will fill at least two class periods. Your During Viewing job is to take jot notes of ideas mentioned in the documentary. You’ll have a discussion about what your reaction and thoughts are after viewing, either in person or you’ll post reflections through your new Twitter #ksoc9 account. Higher Challenge Level: take jot notes and watch for transitions to new topics so that you may differentiate between categories of the documentary. It is a skill that’s important to develop to be able to organize the structure of a text in your summary. 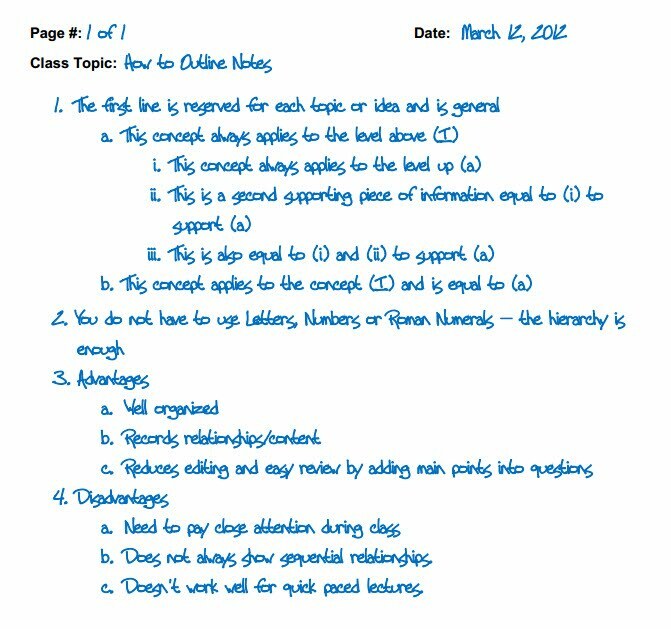 The image below shows how you can use indentations, topic headers, etc to try to develop categories of the information.This will not be marked – it is only a challenge to you to test your ability in practicing this skill or establish your note-taking methods early in the class to compare them to your methods later after some practice.